Ethiopia’s Lelisa Desisa has won the men’s race at the Boston Marathon and Kenya’s Caroline Rotich came first in the women’s race. Rotich took the title in two hours 24 minutes 55 seconds after a sprint finish with Ethiopia’s Mare Dibaba. Desisa’s victory at 2:09:17 was more comfortable and he crossed the finish line 30 seconds ahead of his compatriot Yemane Adhane Tsegay. African runners dominated the top 10 in both races. 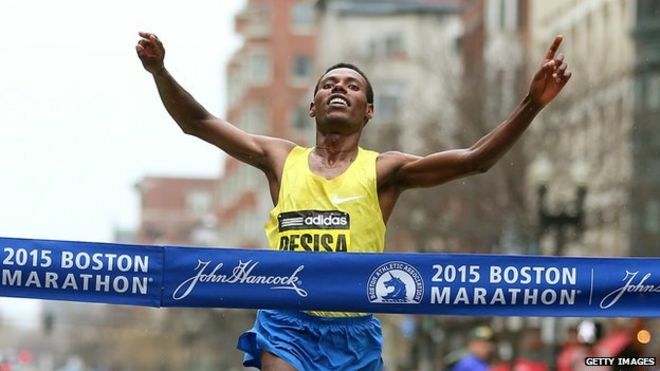 This is the second victory for Desisa at the Boston Marathon. His last came in 2013, the year that a bomb exploded close to the finish some two hours after he crossed the line. Desisa returned his winner’s medal that year in honour of the three people killed. “I’m happy to win,” he said after Monday’s race. Rotich and Dibaba battled for first place in the closing stages ofir the race, but Rotich was more determined. “I saw the finish line tape and I thought this is it, I’m not going to let it go,” she said. 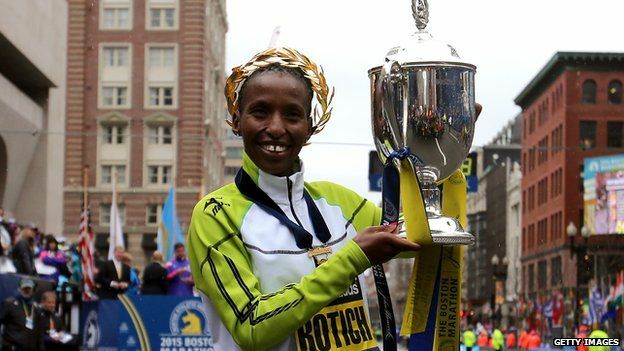 She is the fifth Kenyan woman in a row to win at Boston. The winner in 2013 and 2014, Rita Jeptoo, has been banned from athletics for two years after testing positive for drugs.